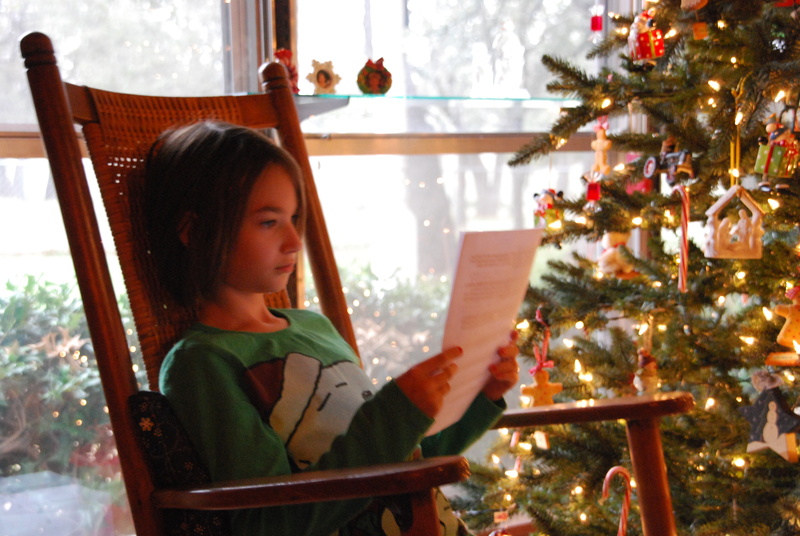 At Grandmom and Grandad’s house no presents are opened until the cousins read the Christmas story. When they were younger, they acted it out… dressed as Mary, kings, shepherds, and angels. These days they just read. It’s sweet to hear the boys’ deep voices in contrast to SuperGirl’s quiet little voice. It’s one of my mother-in-law’s favorite things about Christmas… I like it, too!